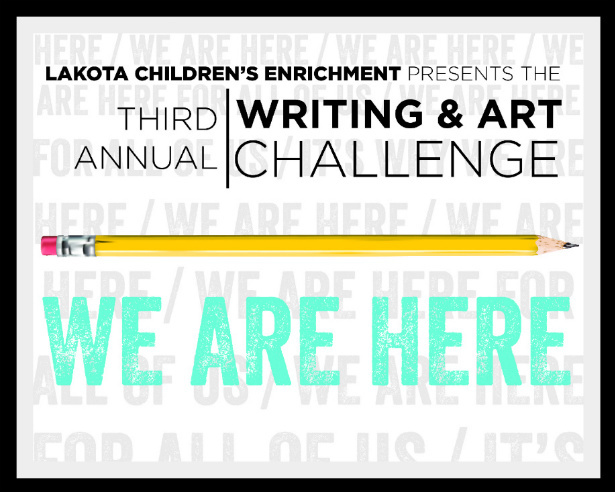 Lakota Children’s Enrichment proudly introduces the panel of Judges for the Writing Portion of LCE’s Writing and Art Challenge. Check out the Official Rules, and then start writing and/or drawing. Deadline for both challenges: Extended to Midnight February 27, 2014 by electronic submission. 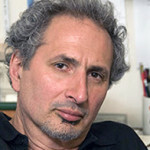 Peter Balakian is a poet and nonfiction writer and is the Donald M. and Constance H Rebar Professor of the Humanities in the department of English and the Director of Creative Writing at Colgate University in Hamilton, NY. He is the author of six books of poems most recently Ziggurat and other books including the memoir Black Dog of Fate, winner of the PEN/Albrand Prize for memoir and a New York Times Notable Book, and The Burning Tigris: The Armenian Genocide and America’s Response, winner of the 2005 Raphael Lemkin Prize and a New York Times Notable Book and New York Times and national best seller. 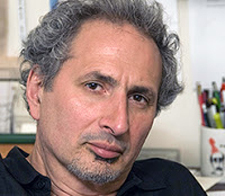 Balakian is the recipient of awards and prizes and civic citations, including the Alice and Clifford Spendlove Prize in Social Justice, Diplomacy and Tolerance, 2012; a Guggenheim Fellowship, a National Endowment for the Arts Fellowship. Balakian’s work has been translated into many languages and he has appeared widely on national television and radio programs including 60 Minutes, ABC World News Tonight, Charlie Rose, and Fresh Air. This will be Balakian’s third year judging LCE’s Writing Challenge. Jasmine Mans is a spoken word star who has received national attention for her moving and dramatic performances of spoken word poetry. Mans was born in Newark, NJ to hard working African American parents and under the guidance of strong role models, Jasmine knew that she wanted to change the world with her words. In 2008, on the Kennedy Center stage, Jasmine became part of Robert Redford’s Green Team, raising awareness about global warming through performance poetry. Now she’s a spoken-word star, thanks to her powerful topical poems about black life in America. Mans is a graduate of the University of Wisconsin-Madison, where she was the recipient of an art scholarship from The Star Ledger-NJPAC, and a First Wave scholarship, a spoken word and hip hop from her university. In 2012, Mans was named one of Glamour Magazine’s Top Ten College Women and her collection of poems Chalk Outlines of Snow Angels was released the same year. This will be Mans’ second year as a judge and her third year participating in this program. Her congratulatory video was a highlight of the 2013 Award Ceremonies and she rocked the house at the 2014 Award Ceremonies in person. Susanne Pari is an Iranian-American journalist and author of The Fortune Catcher, a novel that explores multicultural identity and religious fundamentalism during the aftermath of the Iranian Revolution; it has been translated into six languages. Her non-fiction pieces have appeared in The New York Times Sunday Magazine, The Christian Science Monitor, The Boston Globe, The San Francisco Chronicle, National Public Radio, and Medium. 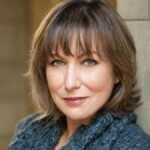 She was the Program Director for the 25 literary salons of Book Group Expo, teaches writing for the Afghan Women’s Writing Project, and is a judge for The California Center for the Book’s Letters About Literature Contest. Pari is a member of the National Book Critics Circle and The San Francisco Writers’ Grotto. Pari frequently speaks and writes on issues of immigration, religious fundamentalism, women’s rights and American identity. As a speaker, Pari has conducted interviews, panel discussions, and conversations with authors such as Amy Tan, Khaled Hosseini, Anna Quindlen, Ayaan Hirsi Ali, and others. This will be Pari’s third year judging the LCE Writing Challenge. 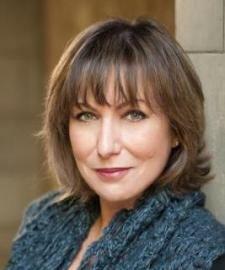 She is a member of LCE’s Board of Directors. 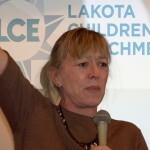 Nobel Laureate Jody Williams received the Nobel Peace Prize, for her work to ban landmines through the International Campaign to Ban Landmines, which shared the Peace Prize with her in 1997. Williams served as chief strategist and spokesperson for the ICBL as it achieved its goal of an international treaty banning antipersonnel landmines during a diplomatic conference held in Oslo in September 1997. Williams is an advocate of freedom, self-determination and human and civil rights who believes that working for peace requires persistence and a commitment to sustainable peace, built on environmental justice and meeting the basic needs of the majority of people on our planet. In 2006, Williams co-founded the Nobel Women’s Initiative, which uses the prestige of women Nobel Laureates to support and amplify the efforts of women around the world working for sustainable peace with justice and equality. Williams is the Sam and Cele Keeper Endowed Professor in Peace and Social Justice at the Graduate College of Social Work at the University of Houston. In academic year 2012-2013, she became the inaugural Jane Addams Distinguished Visiting Fellow in Social Justice at the University of Illinois at Chicago. 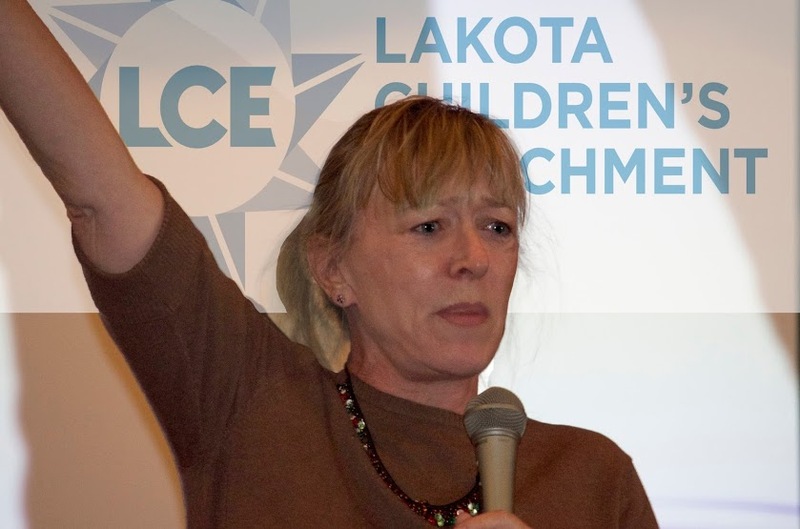 Her memoir, My Name is Jody Williams: A Vermont Girl’s Winding Path to the Nobel Peace Prize, was released in early 2013. 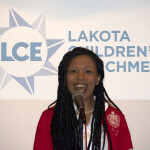 This will be Jody’s second year as a Judge in LCE’s Writing Challenge. 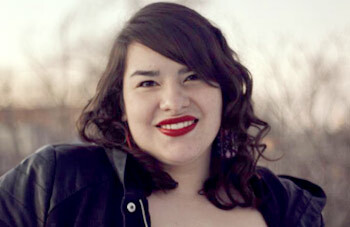 Autumn White Eyes is Oglala Lakota and Turtle Mountain Ojibwe, and grew up in the Pine Ridge Reservation. 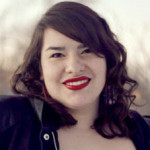 She attended the Red Cloud Indian School for her primary Education, and received a prestigious Bill and Melinda Gates Scholarship, which she used to pursue a BA at Dartmouth College where she double majored in Native American Studies and English (with a concentration in Creative Writing). At Dartmouth, Autumn studied abroad for one semester in Scotland at Glasgow University. After graduation, Autumn moved to New York City where she currently works as a Production Assistant at 3 Generations, a non-profit organization that documents stories of human rights abuses through film. Autumn is passionate about writing and using her voice to speak out against injustice, particularly when it affects Native American communities. 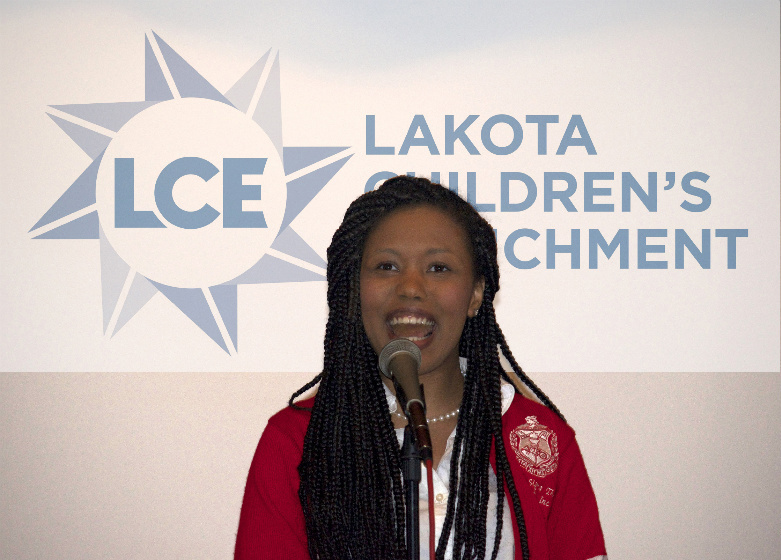 She was the Young Adult Grand Prize Winner of Lakota Children’s Enrichment’s 2014 Writing Contest with her Spoken Word piece entitled, “Mitakuye Oyasin,” Lakota for We are All Related. You might also be interested in viewing LCE’s VOICES OF THE LAND collection of 2014 poems on Medium.